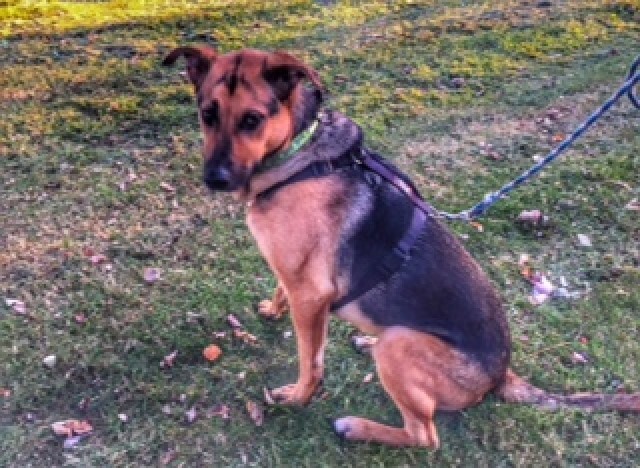 Jackson is only 3 years old and was initially brought over from Spain as a 6-month-old pup. He is a good boy within the family unit but has never been able to get over his anxiety when out and about, he does get vocal if cars or bikes come too close to him and he will bark if he sees another dog. We feel that with a handler who can give Jackson the direction he needs and guide him through his anxious moments they will have one very loyal and loving boy. Jackson is fit and active so anyone who loves the great outdoors then this boy could surely be your perfect companion. Jackson has only ever lived with teenage children and we would recommend a similar household or adult only home - there is no aggression in this boy whatsoever - he just needs some direction to get him over his scaredy cat ways.